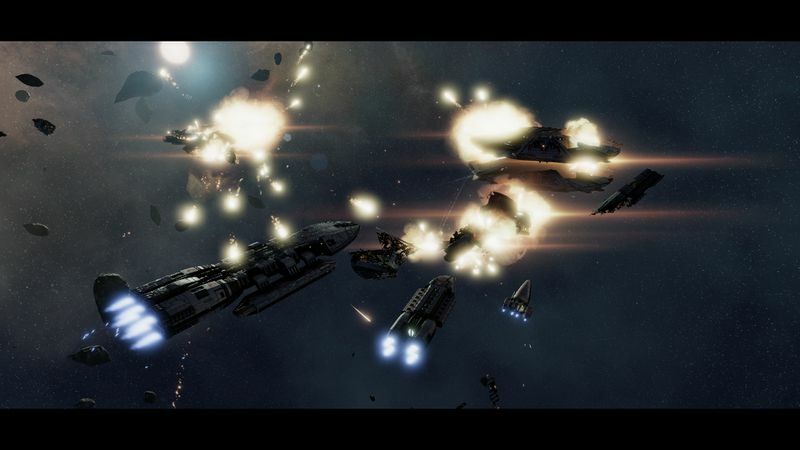 Battlestar Galactica: Deadlock, from Australian developer Black Lab Games, is a turn-based strategy game heading to PlayStation 4, PC and Xbox One. Based on the 2004 reboot of the spacefaring franchise, it will be published by Slitherine. Deadlock is based on a “we-go” system first introduced in Black Lab’s Starhammer: The Vanguard Prophecy. Players will take turns issuing orders to their fleets, and then watch the action play out in scalable, pausable real-time. It’s similar to a system made popular by the Combat Mission series, but will also allow for full replays after each battle. Players can review the footage from any angle, and even use it to create their own machinima. Black Lab tells Polygon that the game will take place during the First Cylon War, and cover the events that transpired between Battlestar Galactica and the spin-off series called Caprica, both of which aired on the Syfy network. In Battlestar Galactica: Deadlock, battlestar-class multi-role carrier ships are the newest ships in the Colonial fleets. Black Lab says that it worked with NBC Universal and Galactica’s original showrunners to flesh out the story and the units on both sides of the conflict. Expect to see saucer-shaped Cylon ships and chromed out, 1970’s era robots. Rather than a 60-year old wreck, Deadlock’s battlestar-class Colonial ships will be top-of-the-line vessels and will fight alongside many other never before seen types of ships. 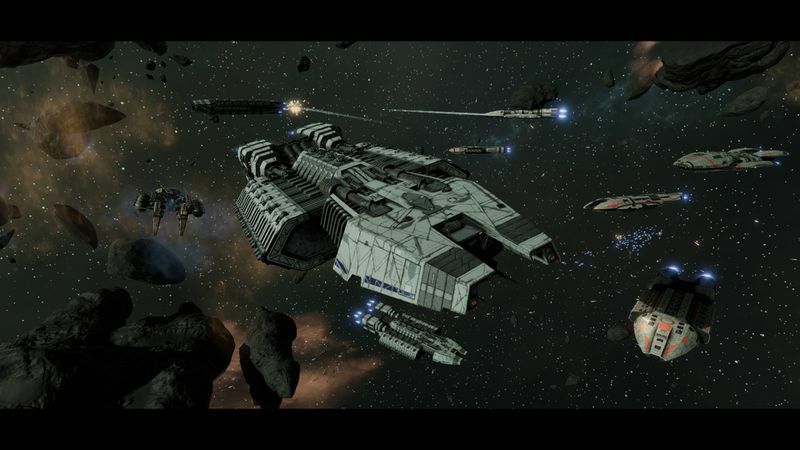 Both Slitherine and Black Lab say their designs had to be approved by the team at NBC Universal, so their game will introduce new units into BSG lore for the first time. Deadlock will feature a unique “we-go” turn system. Complete replays will be available after each battle. 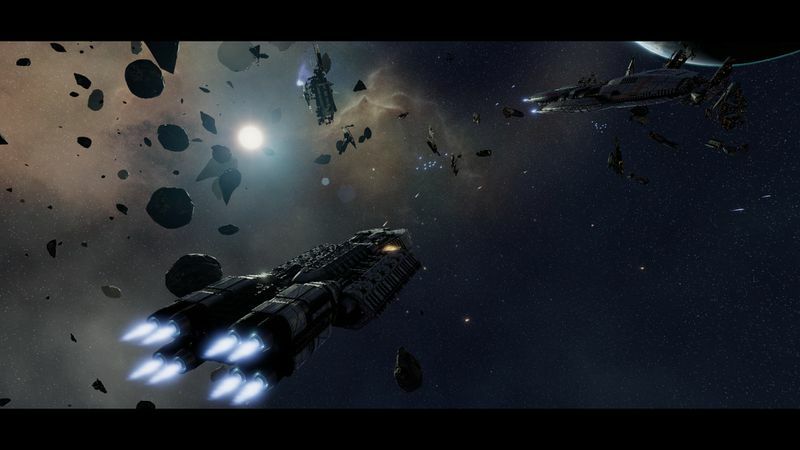 Entire fleets and ships themselves will also be customizable, allowing players to adapt different tactical approaches. Every ship and every weapon system will be grounded in the series gritty, tactile, realistic style. While the graphics will be three-dimensional, battles will effectively take place on a plane. But the space will have density, and ships will be able to change elevation within that plane. So rather than turning 90 degrees and diving down into the map, capital ships will be able to pass above and below one another within a predefined range. They will also be able to collide, doing impact damage or performing boarding actions. Deadlock will launch with a multiplayer skirmish mode. Fleets will be balanced with a points system. The game, which is expected to launch this year, will feature 14 set-piece missions in the main storyline with smaller, unscripted missions in-between. Black Lab cited Firaxis’ XCOM as an inspiration in structuring its mission mix, and promised that each battle would be grounded with a diversity of terrain and objectives.